There is simply no such thing as “no credit check loans.” Every legitimate lender will check the credit of a potential borrower by either a soft check by way of alternate credit bureaus or a hard check using one or all of the three main credit reporting agencies. A soft credit check is fairly synonymous with no credit check because it does not require you to authorize the check and it only gives a short synopsis of your credit status. Soft checks may not affect your credit. On the other hand, a hard credit check will affect your credit. During the loan request process, lenders try to determine a potential borrower’s ability to repay a loan. The less-likely a borrower is to pay a loan, the riskier they are, and the higher interest rates they will likely pay. Even those who are deemed very risky by the lender will still sometimes find a loan. These loans may be very expensive. If you are unable to pay back a loan, the lender may take you to court and may seek wage garnishment, or they may sell your loan to a collection agency. The most likely reason people seek these types of loans in the first place is that they have bad credit, or they have an emergency that requires immediate attention, such as a car repair or a medical situation. Even if you have poor credit, it is wiser to try other sources first. If your credit does not pass muster at a bank or credit union, try a friend or family member. 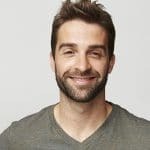 Fast cash loans with an easy application process advertising that bad credit is okay can be a tempting offer, but it is best to make sure that the opportunity is right for you. Lenders sometimes make it sound easy to pay back an expensive loan. It is not easy. It would help if you were prepared to budget your finances in such a way that you can pay back the loan on time. Not only should you look at the interest rate on an expensive loan, but check for any fees that may be in the fine print. Understand the consequences of making a late payment or missing a payment. You should know what happens in the case that you are unable to pay back the loan. These are personal loans which are not collateralized. Not having security, such as a house or a car, is cause for concern. Any lender who is willing to part with cash to someone they do not know is always going to have a strategy to obtain a return on their money. They are in business to make money, just like any other enterprise, and the high fees and interest rates help them get a good return on their investment. Consumers who have limited borrowing options because of low credit scores or repressed earning potential caused by a disability would be wise to consider alternative options for funding. Some credit unions have a maximum interest rate of 18 percent, and even with poor credit, if you can obtain one of these loans, it is by far preferable to the much higher rates charged by same day payday lenders. Another choice is to find someone to co-sign the loan with you. That way you get an interest rate based on your co-signer’s merits. If you have equity in your home, consider borrowing against it. 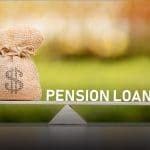 Some other options might be borrowing from retirement accounts, getting an advance at your place of employment, or accessing the equity in your life insurance policy. If you’re currently unemployed you will most likley benefit from taking a loan with a cosigner to increase chances of funding. Ask your credit union for a personal interview if you have been turned down for a loan. If it is a dire emergency, you may be able to convince them to take a chance on your creditworthiness. To show them you are a good risk, be prepared to show your stability through tax returns, assets, job information, bank statements, and any extra income which you earn regularly. Be honest with the lender and answer all questions with integrity. If your credit is already terrible, do not make it worse by having a contentious attitude or by lying or fudging the truth. They will find out. One good indicator of the best interest rates is your credit score category. A high score qualifies you for a better rate. During non-emergency times, do your best to improve your credit score so that when the time comes that you need a loan, it will be much easier to secure the best rates, and you will not have to rely on high-interest loans. You can achieve this by making timely payments on all accounts, using credit judiciously, and resisting applications for credit. Watch out for stores that offer a discount on a current purchase if you apply for their credit card. You do not need a bevy of store credit cards. Cards, such as Visa, Master Card, Discover, and American Express are generally accepted everywhere. Having one credit card on which you put all credit purchases is preferable to having 10 different store cards. When you only make one payment and pay off the amount you charged each month, you can avoid digging yourself into debt. If you use an online payday lender, be certain the business is licensed in the state in which you live. Ask questions, make comparisons, and do your due diligence before you choose a lender. You may become lax in these areas if you have an emergency that requires cash immediately. Become a wise consumer, and try not to let that ever happen. 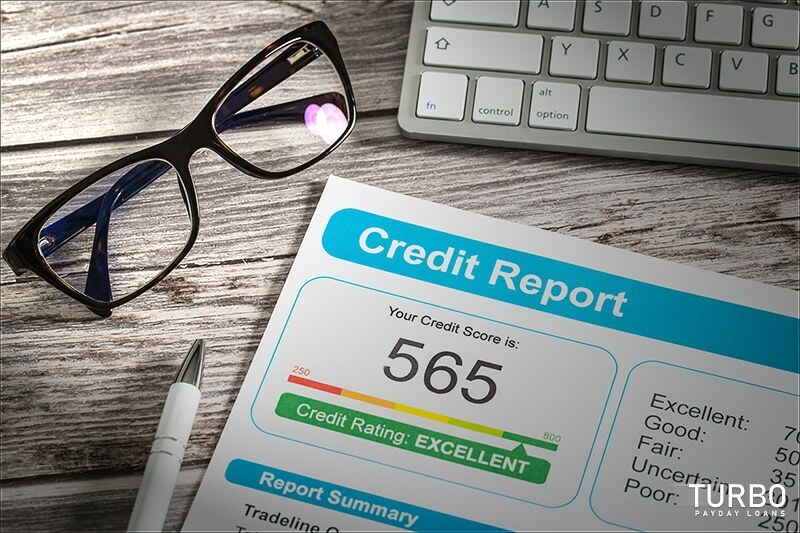 Unless your credit is fairly clean, there is little need to go to regional and national banks, where credit scores are usually the determining factor for a loan. Some online loan advertisements help you find lenders who loan various amounts of money. They may promise that you can be funded quickly from one of the many partnerships with lenders across the country. The company is acting as the middleman for your loan. Look at the minimum and maximum repayment terms, and understand that the various lenders who partner with the company have their own agreements and terms. Always read the fine print and any disclaimers. 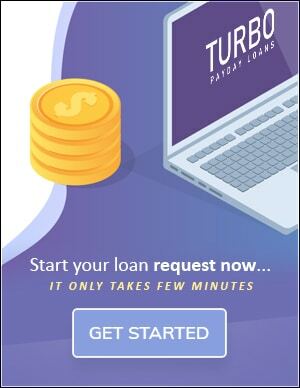 Remember, you will not be able to find no credit check loans online, but some lenders make it easy to apply and can usually let you know in a short period whether you are approved. A short repayment period sometimes makes it possible for those with bad credit to receive funding. By making the basic requirement your ability to repay a short-term loan rather than your longterm credit-worthiness, the lender can give you high-interest funding that is due very soon. Remember that when a customer is a higher risk to lend to, the funding will almost always be more expensive. One reason for this is because lenders who accept those with bad credit will likely suffer more loan defaults than other types of lenders. Defaults are expensive, and the lender has to make up for the money lost by charging more for their financial product. Most lenders will require customers to meet basic requirements. First, all applicants must be at least 18 years of age. Secondly, he or she must have an active bank account into which the funds will be deposited. Lastly, he or she must be a citizen and have income that can be verified. Finding quick cash when dire circumstances confront you is a problem for many people, and if you have poor credit, it is even more difficult. Look for ways to circumvent this type of loan if at all possible. It would be best if you could afford to be financially uncomfortable for a short while. If you are not positive that you can repay the loan promptly, do not risk it. For example, you may know you have a paycheck coming that will cover the loan during the agreed upon term, but what if something happens and you need those funds. Then you will be in a deeper hole than you were before you borrowed the money. Emergencies never occur at convenient times. Lenders wear blinders when it comes to accepting excuses for not repaying the loan as agreed. When they tack on late fees and other charges, you will sink deeper and deeper in debt. Planning and creating an emergency account can be a remedy that will prevent you from having to take out high-interest funding. If you cannot secure a loan from a traditional lender, put your finances in order ahead of time. Do not allow debt to get out of control, and it will not be as difficult to rein it in. If you already have debt from multiple sources, consider a consolidation loan to pay it all off. It may be easier to pay off one loan rather than two or three different ones. Ideally, the consolidation loan will require you to pay less interest than your combined debt beforehand. Online transactions with soft credit check lenders can be a virtual minefield. In addition to the options offered, check when you must repay the loan and the amount of interest charged. Look for a personal loan, a payday loan, or an unsecured loan. Understand how expensive the loan will be. Whether online or sitting across the desk from the lender, you should have questions about every aspect of the loan. Do not let the fact that the transaction is simple blind you to the actual costs involved.